As Avicii's fans and friends grieve the gone-too-soon talent, his colleagues are taking to social media and stages the world over -- and in Kygo's case, Coachella -- to pay their respects. On the Friday night of the Indio, Calif. festival's second weekend (April 20), Kygo dedicated the final moments of his Coachella set to his friend by playing the Swedish DJ/producer's 2017 single, "Without You," with portraits of Avicii lighting up the monitors behind him. “Coachella, I think most of you guys have heard, but today is a very sad day for music," Kygo told the festival crowd, Entertainment Tonightreports. 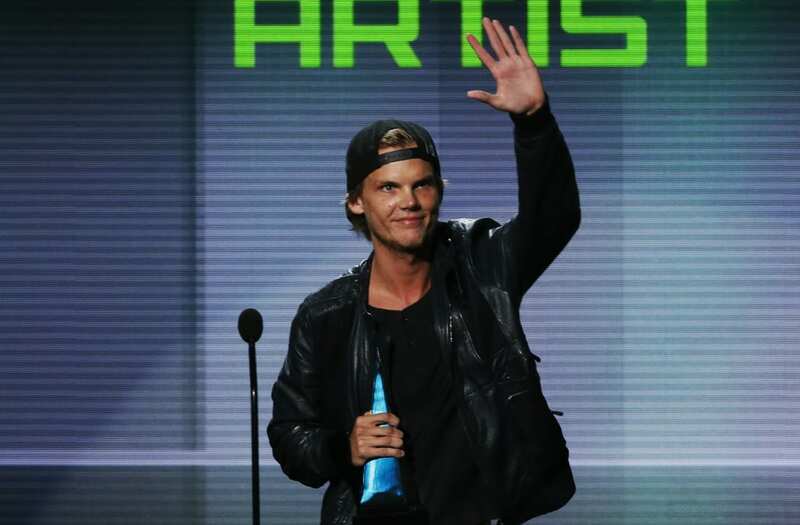 "Earlier today I got the news that Avicii passed away [at] only 28 years old. Avicii was my biggest musical inspiration and he was the reason I started making electronic music so I don’t think I would’ve been on this stage tonight if it wasn’t for him. I know he’s inspired millions of other producers out there. So I want to end my set tonight with my favorite Avicii song." Earlier in the evening, Kygo brought out Ariana Grande and Miguel for surprise performances as well. Watch Kygo's tribute to Avicii at Coachella below.